Don’t get paralyzed by the buyer’s process. Don’t let it stop you selling. Even if your selling is limited to submitting a tender response, with little interaction in advance, don’t cast aside the basics of either solution or relationship selling. We are all familiar with the increasingly structured and process-driven nature of buying in large organizations. In response to this trend we have been repeating a simple consistent message – ‘buying process trumps sales process‘. We have been urging sellers to uncover the buyer’s process, to respect that process and to align their own sales process to it. Those who have followed this advice have generally enjoyed above average win rates. However in encouraging sellers to embrace the buyer’s process, we are certainly not advocating helplessness or fatalism on the part of the seller. Indeed, far from it! If you give up on influencing the buyer and the process, you run the risk that one of your competitors will succeed in doing what you don’t. We have to assume that another supplier will be trying to get involved in the writing of the tender documents, or at least meeting the buyer during the tender process. Instead of complaining about buying process and the other changes in buying, start looking for new ways to influence buying process, to shape it, even to turn it to your advantage. 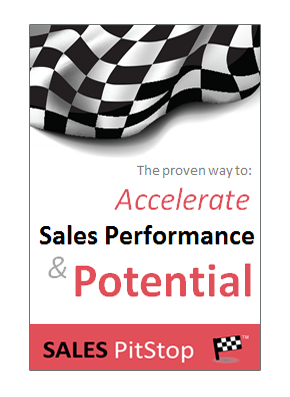 That is the secret of sales success in an era of buying process. Are you sometimes too much of a slave to the buyer’s process? It is facile to use procurement as a punch bag, or to bemoan the rise of the competitive tender. These changes in buying are a natural response to prevailing economic conditions. They are not just a measure of best practice, but a competitive necessity in most industries. It is futile to complain about the new realities of buying (particularly in large organizations) because they are beyond our influence, or control. They are trends that in respect of many industries have an almost un-stoppable momentum. It is frustrating and can lead to a sense of helplessness even victimization. The result can be that seller give up, or hold back. This is perhaps the greatest threat presented by the changes in buying. Do you spend too much time complaining about the buyer’s process? 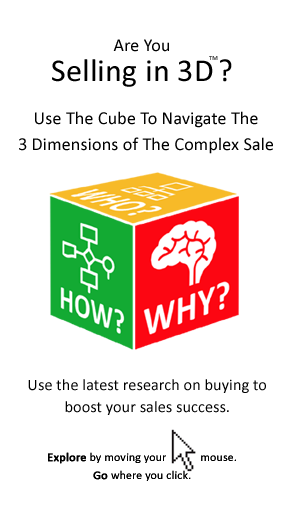 We see it very often – sellers discarding Solution Selling or Relationship Selling principles because they fell they are powerless or redundant in the face of the process-led or procurement-driven approach to selling. – ‘It is a competitive tender and that means there will be little consideration given to anything other than price’. – ‘They have set out their requirements, so let’s just focus on repeating back what they asked for’. – ‘We are dealing with procurement and they don’t know what is involved other than to look for the lowest price’. – ‘There is little point in suggesting a meeting with them in advance of submitting the tender’. Does your perception of the buyer’s process stop you from really ‘giving it your all’? The lesson for us all is: don’t get paralyzed by buying process. Use your understanding of buying process to pre-qualify opportunities – to identify those opportunities that are simply set up wrong and cannot be won (or at least not without a cost of sale that would make it unattractive). However, if the opportunity is one that you have decided to go after, don’t get paralyzed by a rigid view of sales process. Don’t let it stop you from doing what you need to do. The rise of procurement and the growing importance of the competitive tender represent a significant challenge to all in selling. However, it is not the extent of the challenge, but rather how sellers respond to them, that matters most. Seen in this way they are a test of the seller’s strategy, creativity and skill. It is a call to action, rather than a reason to give up hope. It requires that sellers do more selling, rather than less. However it is a more creative form of selling that is required. Do you use your understanding of the buyer’s process to sell more creatively? – Identify ways to help the buyer to buy (and in particular to overcome any challenges in respect of getting the decision sanctioned internally). Perhaps most important is to adopt a non-linear view of the buyer’s process. No matter what step you meet the buyer at make efforts to touch-off as many of the steps as possible. We call it sales hopscotch. If, for example you first get involved at the point where the buyer has the requirements set and is looking for quotes, make sure to connect back with what the buyer is really trying to achieve, with the needs of stakeholders, the metrics that matter to the buyer and so on. This is something that we discuss in more detail in another insight. Could you be interpreting the buyer’s process too rigidly?